Today is the day that I tell you all about my favorite “good for you” products. I am a bit of a product junkie and rarely finish a bottle of anything, but these few products tend to stick with me until the end. While I of course wish it was a tad less expensive, I bought my first bottle over a month ago and still have most of the bottle left (I apply once a day 3-5 times a week). Also, it’s 2.5 ounces so it fits in your carry-on unlike 99% of the products that I use. I use “fair to light” shade because even though I am not as pale in the summer, the lighter shade blends into my skin more evenly. Other than Bedhead, which is crazy sticky, this is the best smelling hair spray I have ever used. I got hooked on it when my hair dresser gave me a free bottle (thanks, Michael!) and I have been using it ever since. It’s Sulfate free which if I were being honest, is only a moderate concern, but I still try to use sulfate free products if I actually like them, not just if they’re “good for me”. Yay for mineral sunscreen!!! I absolutely hate putting any type of foundation/sunscreen on my face but living in Florida has finally started to turn me to things that have SPF. Again a smaller bottle, you can travel well with it and it has lasted much longer than I expected. I typically wear it when I am not going to be wearing any make up but I don’t see any reason why you couldn’t put this under your face powder and eye make up. This is the very first sunscreen that doesn’t make my face feel greasy or feel like I have to choose between getting pimples or a sunburn (my eternal ‘Sophie’s Choice’). Winning an Allure “Best of Beauty” isn’t too shabby in my book. 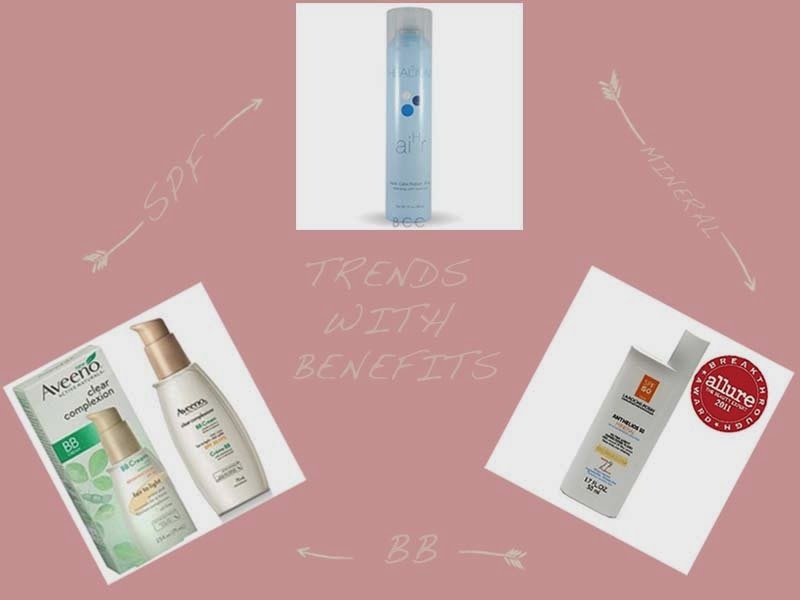 This is a fairly small list compared to the dozens of “necessary” products that I keep on hand, but I really do believe that these few goodies help protect my skin and hair. Message me with your favorite products! I’d love to try some.